Help your players take a moment to relax and get their heads in the game with great locker room benches. 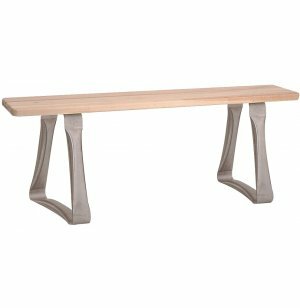 These benches will look great with lockers of any color, style or size. Locker room benches give student athletes a great place to suit up and get ready for the game. Penco Locker Benches are built to support sports teams through many successful seasons and beyond. Their sturdy construction and durable design will withstand all of the use - and abuse - that students can throw at them. 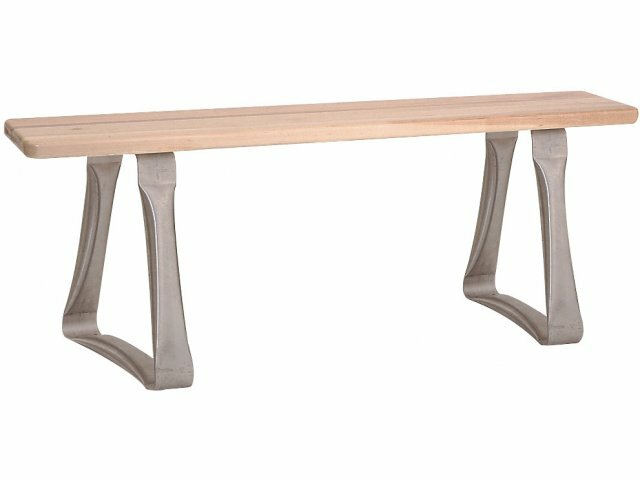 These benches feature select hardwood tops that are finished with clear lacquer. They are supported by stainless-steel freestanding pedestals. Penco locker room benches can be moved into position for the pre-game pep talk or half-time plan. For those who prefer a more permanent setup, the pedestals come with pre-drilled holes for optional floor anchoring. Attractive: Select hardwood tops feature a sleek clear lacquer finish. Movable: The 14"-wide stainless-steel pedestals facilitate movable freestanding use. Mounted Option: Pedestals have holes for optional anchoring.